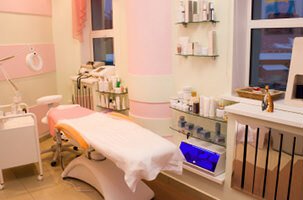 Millions of people visit spas and resorts all around the world to receive their favorite treatments and therapies. We researched the most requested treatments and found spa clients prefer wellness and cleansing, as well as relaxation and pampering. SWIHA’s comprehensive 200-hour Spa Treatments program covers the most popular treatments including Swedish Sedona Massage, SpaLomi Massage, and Lymphatic Massage, giving our graduates a leading edge when entering the job market. You can take this program to fulfill part the primary specialty requirements within some of our degree or diploma programs, to enhance professional skills, or to further your personal growth and development. Graduates of this program earn a Certificate of Excellence showing completion of 200 hours of specialization in the field of Spa Treatments. With the skills you learn in our Spa Treatments program, the possibilities are endless for creating the job of your dreams. Students in the Spa Treatments Certificate of Excellence program study these techniques and more. For a complete list of classes, click on “Program Sheet” above or download our latest schedule of classes. Are you interested in Spa Treatments, but not sure about signing up for the full 200-hour program? At SWIHA, we are so committed to helping you achieve your dream, we invite you to take a test drive and sit in on the first 4 hours of any introductory class before you decide whether to enroll. Get a first-hand feel for what SWIHA is all about!